Florida Adventures --- "All About Babies!" It’s Springtime here in Florida, which means it is ‘baby time’ and definitely worth pulling out your camera and start having fun. In the avian world, there is so much going on, it can be difficult to figure out which way to point your camera as there are so many flight shots with nesting material, wing displays and dancing during the mating ritual, parents sitting and guarding nests with eggs, recently hatched chicks, and of course the feeding-time fiascos! It is a favorite time for me, but also a time when I have to exercise caution and consideration for the well-being of the wildlife I’m photographing. If a parent is frightened off the nest, the eggs and/or babies can fry in minutes in the hot sun, and of course, there are always the predators lurking around as they ‘lay-‘n-wait’. This is one of the great advantages of the longer lenses; it can get you ‘up close & personal’ without disturbing the family, which also allows you many wonderful shots of those intimate & tender moments. Caution must be taken with our mammal friends also. Momma wild boar & her bevy of piglets were not running from me, or even aware of my presence. However, they were very much aware of the rancher’s dogs rounding up the cattle in a nearby pasture. 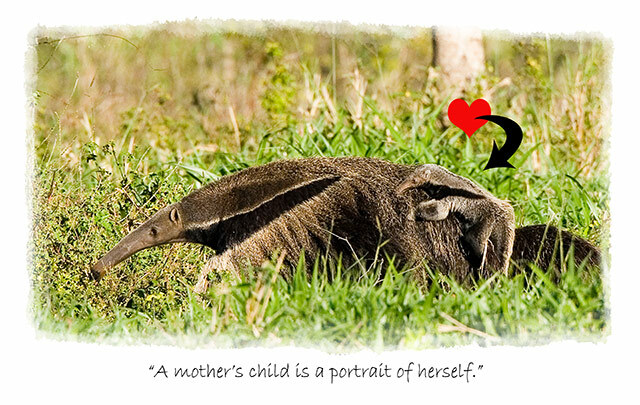 It is a common practice of many wild mammal parents to move their young from place to place many times a day in an effort to protect them from hungry predators while the young ones are feeding. Surprisingly I have noted that my mere presence has often been enough to discourage the idea of stalking a meal. I guess this all comes back to good “Ethics In The Field” and a shred of common sense. It is very easy to know when a bird is beginning to stress about your presence. It is like there is an imaginary line drawn (maybe there really is) of what distance is acceptable and when you’ve pushed it just too far. 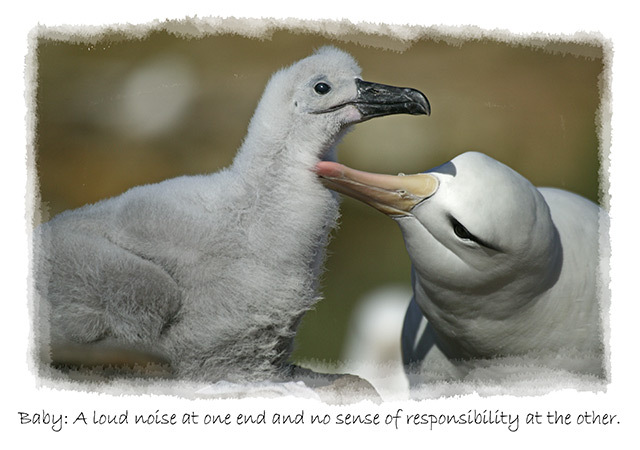 You can literally see the parent getting nervous, and soon you’ll hear the warning sounds, and if you’ve gone too far, there will be the big lift off, usually accompanied with loud squawking and scolding. Please, immediately back off and let her return to the nest. Now you know just how far you can go. Later, you’ll be able to come back again and again and document the young babies’ progress. 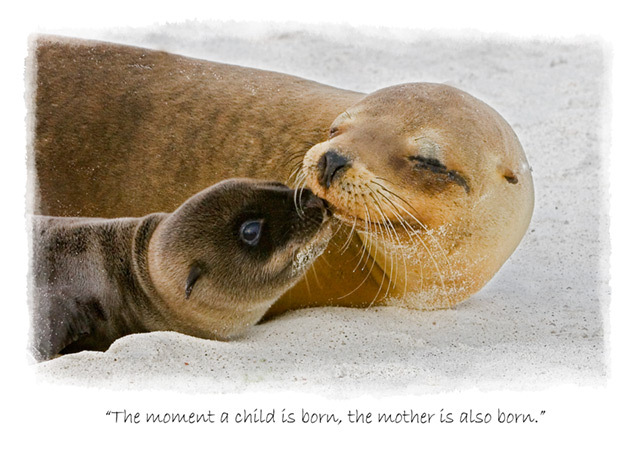 Most birds (& often many mammals such as people) usually return to where they were born (or nearby that area). So once you have discovered a nest, chances are you can come back to that area for numerous years to come. 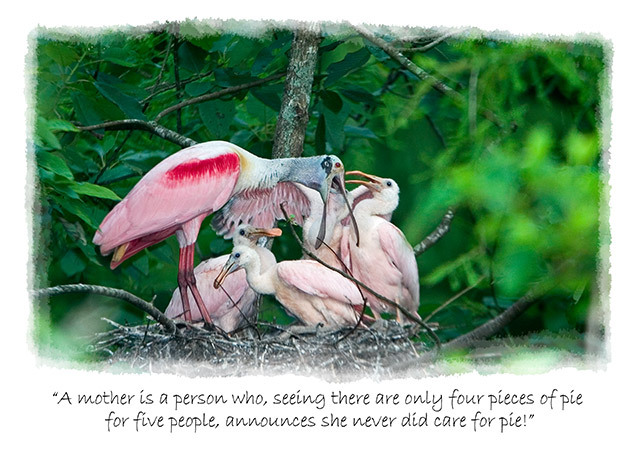 Because of our wonderful climate here in Florida, which allows for an abundance of food, our birds often double and triple clutch--meaning they have more than one family in a season, usually two and three sets of chicks. This makes us terribly spoiled as wildlife and nature photographers as we are given second & third chances!! Pretty good odds. I would have to honestly declare that 98% of my success in my photography business of nature and wildlife is due to the time I spend studying, watching, and learning the habits, general conduct, & tolerance level. Once I know that, I can go back again and again to get fantastic images. The image of the Eagle in the nest with her two chicks literally took me six (6) hours to capture as I sat out in the middle of nowhere about 100’ from a lone tall pine tree. I could see the nest, but only occasionally hear squeaks, which I knew had to be babies bantering back and forth. With my big 500mm lens & 1.4x extender being used as my ‘binocs’, I watched both parents taking turns flying back and forth to a lake (about a quarter of a mile away) to catch fish, then fly back to the tree almost as far away as the lake, then they’d feed their faces, and fly off again. About four (4) hours into this, I was sure I had the wrong parents until my hat blew off in the wind toward the nest. The minute I took off after it, they took off after me—squawking & whining as Eagles do—sending out warnings to the kids. I knew then, with patience, I could possibly have a good shot. As I was loosing that famed patience and getting very bored, I decided to call my Mom on my new cell phone before the battery was good and dead. The very minute she said “hello”, I heard squeals of delight and looked up just in time to see Mama fly in with food for her brood. I dropped Mom/phone on the ground knowing she was still chatting away, and fired about twenty shots. I cherish this image for many, many reasons—not only because it is a great shot of Mama Eagle & her chicks—but also it was soon after that we had to place Mom in a nursing home where she is living still to this day. The image is also symbolic to me because it is about patience, determination, and a love or passion for what one has chosen to do with one’s life. I’m often asked, especially since the “birth of digital”, to give my opinion or recommendations on cameras, gear, etc., etc. Some of you who have known me for years are now sighing and mumbling to yourselves “here she goes again”!! Well, you are right! Whether I earn my living doing this, or not, I am still a wildlife & nature photographer, instructor, nature tour guide, conservation-enthusiast, presenter/speaker, whose work as a published photographer has earned me enough awards and accolades to permit me to humbly feel I must be doing something right, and perhaps some of my reader/subscribers actually do want my thoughts and opinions on camera gear etc. However, this is my “Spring Baby” issue, which I will not taint with unglamorous thoughts and comments on equipment etc. I leave you with these very pleasant thoughts and words of wisdom…. Enjoy the images within this Newsletter #99 and know that many were taken with my old film camera (some of you are too young to know what film is & some of your are too old to remember!). I scanned them with the first Nikon Cool-scan on the market. 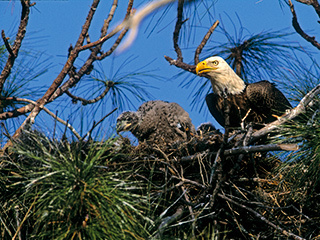 Understand that our Florida baby season is long and usually very fruitful (February thru June/July for nesting, hatching, fledging). Thanks to metadata, I can prove that statement, but normally you won’t find me out there in June/July as it is just too hot!) 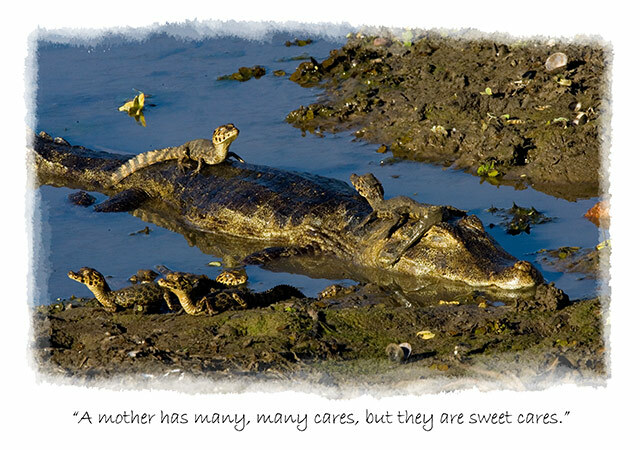 Actually, I’m usually headed to the cool, dry comfort of the Pantanal, Brazil at that time, where the wildlife has awakened, is abundant and is anxious to get started with life. My group & I are flying there again on May 31st. You ought to join me sometime. Where there are babies, there are mothers, (Wow! That was a profound comment! 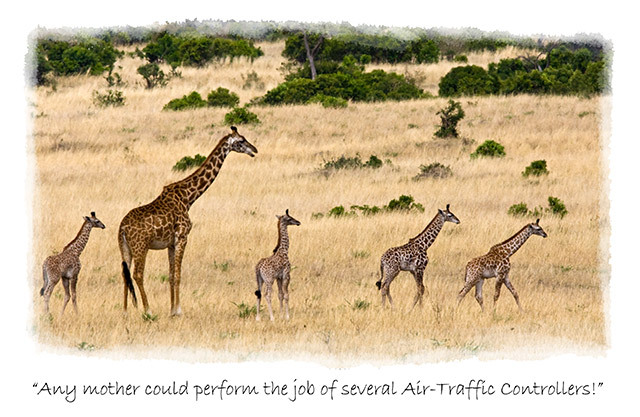 ), so it is only fitting that in this month of May, Day 9, Newsletter #99, I pay tribute to ALL mothers--whether they be fluffy or furry, feathery, hairy, scaly, slippery, slimy, have a leg in all four corners, or only two, walk straight up, or on all fours, are spotted or striped, ugly or beautiful—they all have one God-given-glorious-feature in common--- they are all our Mothers………..